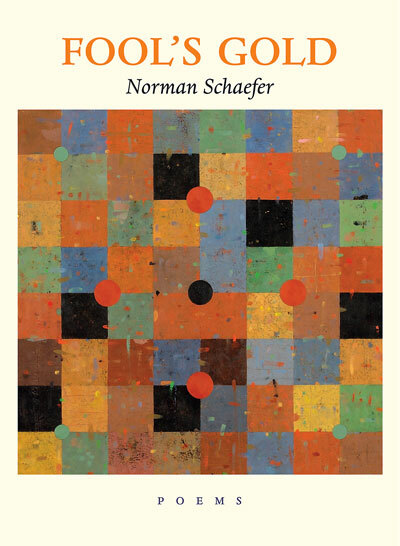 During the writing of The Sunny Top of California: Sierra Nevada Poems & a Story, Norman Schaefer was also working on a collection of shorter poems. Originally inspired by Basho’s Narrow Road to the Deep North whose images were spare, clean, but vivid with insight, he went on to study Saigyo, Sappho, Pound, Rexroth and anyone on the trail toward little poems of clarity. The search for precision in language, the intensity of meaning sharp and essential, became a project which led to the completion of Fool’s Gold. These poems do not adhere to any particular form such as haiku or waka, but simply aim for that ringing bell of lucid experience. As the title reflects, sometimes one must realize that not all is what it seems, but this too must be addressed. Fool’s Gold reads like correspondence amongst one’s many selves—past, present, future—and everyone you’ve ever loved. stubble, and the same yellow teeth. I had wanted to write some short poems for a long time, and after reading Mary Barnard’s translations of Sappho, I began writing some of my own. That was in 2001. I called the manuscript Fool’s Gold. I spent nearly as much time reading poetry during this project as I did writing it, and I learned some big lessons: “The natural object is always the adequate symbol” (Ezra Pound); “To learn the pine, go to the pine” (Basho); “A poem is made of words and not words” (William Carlos Williams); “Boil it down, but boil it with a cold blue flame” (Kenneth Rexroth); and “The first duty of the poet is to name things properly” (Sam Hamill). I didn’t know it then, but after ten years of writing poetry—most of it not very good—I was starting over again. I tried to write poetry in Fool’s Gold that was direct and clear and with minimum decoration. Precisely selected nouns and verbs will free a poem from the need of most modifiers. The power of the image and metaphor is what counts. Fool’s Gold is a collection of artifacts of nearly a decade of my life. There are many kinds of poems. The ones I like the best are about the Sierra Nevada and being in love. I hope you will find some that you like.